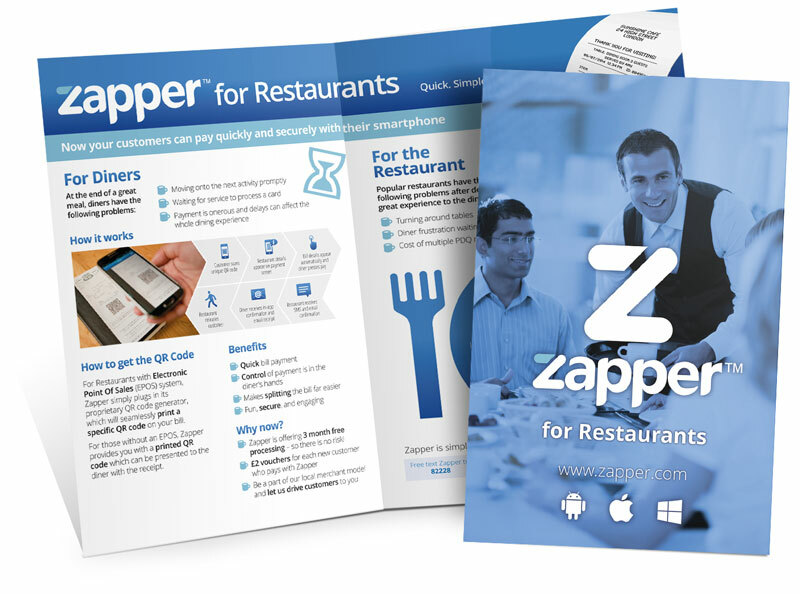 The guys in the Zapper team were dropped right in it by their current designer, mid-project! I was able to help them out, delivering the redesigned (yes, I started from scratch!) brochure in a matter of hours. They were so pleased, it wasn’t long before they asked me to create more material including window and car stickers, brochures and flyers. 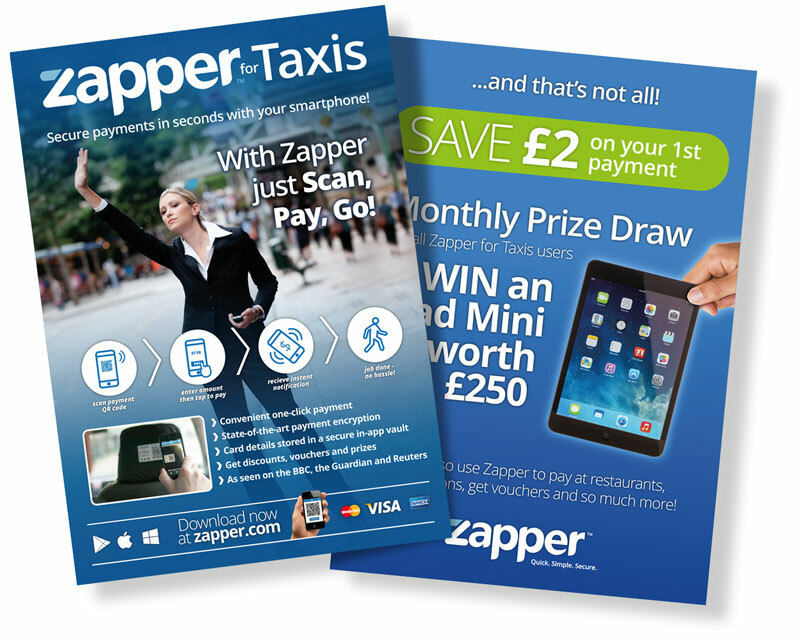 The Zapper for Taxis team also asked me to create this flyer to promote the use of Zapper in taxis – passengers can simply scan the QR code inside the cab, and then pay the fare with their smart phone – easy!